The digital economy is allowing for new business models and companies to be created, both faster and with less capital than ever before. However, many ideas and companies need capital to expand and stay ahead of the competition. In many parts of the world there is a widening gap between outside investors and entrepreneurs. The situation is often characterized by investors grouping around the already proven success cases, fighting for the honour to invest at high valuation, while the smaller, unproven cases are being left out. In this scenario, the investor community is being left out of the initial explosive growth phase seen in cand disruptive companies and applications. 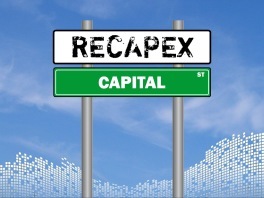 To bridge this funding gap, RECAPEX works with a network of syndicated partners, providing capital for seed and early stage ventures within the RECAPEX framework. Are you looking for growth capital for you idea or your business? Are you interested in investing together with RECAPEX?